No matter how long you’ve been trying to get pregnant, or how elated you may be, when you first see that little blue line or plus on a pregnancy test, it can be REALLY overwhelming. There’s so much to learn and so many preparations to make, not to mention all the major changes that start happening to your body right away: nausea, exhaustion, brain fog—welcome to the first trimester! You probably already know that these initial changes are due to the flood of hormones that your body begins producing when you conceive, and that they can wreak havoc on your emotions, your energy level, and your brain function. But did you know that they can also wreak havoc on your thyroid? Whether you’re pregnant now or plan to become soon, there are a few things you need to know about how your pregnancy can affect your thyroid function, and therefore the health of you and your baby. Pregnancy stresses your thyroid out! Pregnancy puts a whole bunch of added stress on your thyroid. It will need to produce more thyroxine (T4) and triiodothyronine (T3) in order to meet your body’s increased metabolic needs—that’s a fancy way of saying that your thyroid will have to work harder to help your body convert nutrients into energy, both for you, and for your growing baby, who will need a TON of energy to grow and develop. (If you want to know exactly how your thyroid functions, this post explains the process in detail). Plus, if you’ve had thyroid problems in the past, being pregnant can make those problems even worse. And if you’ve never had your thyroid tested, you may not even know your thyroid isn’t functioning properly. Unfortunately, many women are not tested for thyroid problems early in pregnancy, and potential thyroid issues can easily be mistaken for general pregnancy woes. First, the basics. There are two types of thyroid malfunction: hyperthyroidism and hypothyroidism. Hyper means overactive (think of your thyroid as an over-excited cheerleader). Hypo means underactive (think of your thyroid as the stoner who skips class). See how easily these symptoms can be mistaken for regular old pregnancy symptoms? And if you do end up with untreated thyroid problems, it can result in some pretty scary pregnancy complications. First trimester miscarriage, preeclampsia, hypertension in pregnancy, preterm delivery, increased rate of C-section births, postpartum hemorrhage and impaired development in babies are all risks associated with thyroid malfunction. While it’s true that every woman experiences pregnancy differently, the similarities between thyroid malfunction and ordinary pregnancy symptoms mean that it’s especially crucial to have your doctor test your thyroid levels BEFORE you conceive or early on in your pregnancy. If identified early, there are plenty of ways to treat thyroid issues, and if you’re armed with knowledge, it’s an easy problem to address! If you haven’t had your thyroid tested already, ask your doctor to test you now. Thyroid testing is not routinely done on pregnant woman and absolutely should be, even if they haven’t been previously diagnosed. And even if your thyroid is healthy, your doctor should continue to test you at regular intervals during your pregnancy to make sure your thyroid continues to perform optimally. Your pregnancy is going to demand more and more from your thyroid as you progress through each trimester, and repeated testing will help avoid any unnecessary complications down the line. I recommend requesting a full thyroid panel, including including TSH, free T4, free T3, TPO antibodies, antithyroglobulin antibodies, and reverse T3 (for more information about why the full panel is necessary, read through this post). The good news is that in 2017, the American Thyroid Association updated its “Guidelines for Diagnosis and Management of Thyroid Disease During Pregnancy and Postpartum,” which they had initially published in Thyroid Journal in 2011. This is a good place to go for additional information to educate yourself about testing and diagnosis. Natural Remedies—things you can start doing now! Even if your thyroid is in tip-top shape, remember that pregnancy is going to majorly stress it out, so adding supplements and eating foods that make your thyroid happy will ensure you and your baby thrive during your entire pregnancy, and will also reduce the risk of complications during birth. Before adding any of these supplements to your daily regimen, make sure to talk it over with your OBGYN. Selenium: has been shown to diminish thyroid antibody levels, while supporting enzymes involved in thyroid function. Zinc, along with vitamins E and A, function together in producing thyroid hormones, and vitamin C (as well as E and A) are powerful antioxidants, anti-inflammatory, and support your immune system. Iodine is essential to make thyroid hormone, and is also essential to the development of your baby’s brain and nervous system. Good food sources include seafood, poultry, eggs, kelp, and other seaweeds. It’s important to be cautious when supplementing iodine because too much can actually cause hypothyroidism, and may adversely affect autoimmune conditions. If you are taking two Prenatal Pro Essential Packets per day, you will be getting a sufficient amount of iodine to support fertility, pregnancy and thyroid health. 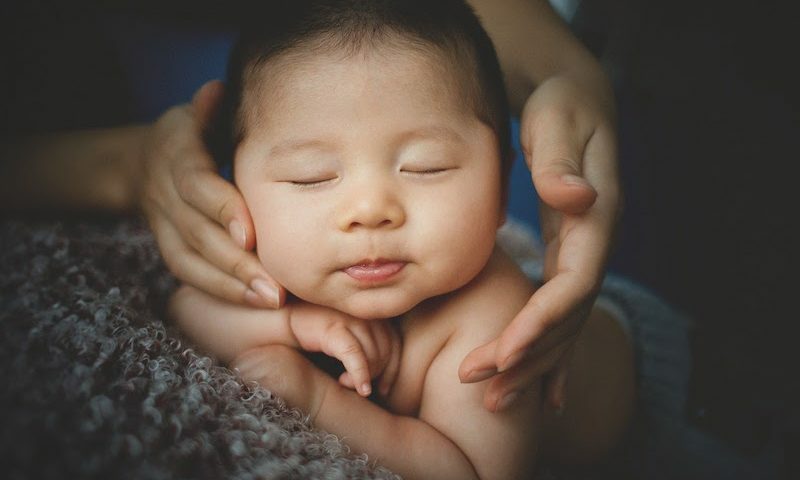 Omega 3 essential fatty acids decrease inflammation and support a balanced immune system, and support the development of your baby’s visual and cognitive development. Vitamin D is especially crucial. Not only is vitamin deficiency strongly associated hypothyroidism, inadequate vitamin D can cause abnormal bone growth, fractures, or rickets in newborns. Even though it’s a component of the Prenatal Pro Packets, I often recommend women supplement additional Vitamin D as it’s such a critical nutrient for thyroid health and pregnancy wellness in general. Before I get into what you should be eating to properly support your thyroid health during pregnancy, a caveat: pregnancy does strange things to your tastes and appetite. Some women don’t experience cravings or nausea at all, others find they can hardly eat without throwing up. So keep in mind that while you may not always be able to stick to a strict diet, it’s now more important than ever to make sure you have access to healthy and easy-to-prepare meals and snacks. This will help you avoid reaching for processed convenience food when you’re tired and hungry. In addition to the well-known standard foods pregnant women should avoid (like alcohol, caffeine, processed meats, etc.) you’ll want to also eliminate the following from your diet: gluten and refined grains, dairy, corn, soy, industrial vegetable oils, sugars and sweeteners, and all processed, refined, and genetically modified foods. If you have been diagnosed with an autoimmune thyroid condition such as Grave’s or Hashimoto’s, I also recommend avoiding legumes and nightshade vegetables (tomatoes, potatoes, peppers, eggplant, okra, and goji berries). To learn more about the specifics of the Autoimmune Protocol, consider scheduling a 1:1 consult with me. At this point you may be wondering what you CAN eat! Don’t worry—there are plenty of delicious foods that are thyroid-friendly. You’ll want to stick to whole, anti-inflammatory, nutrient-dense foods: wild-caught fish and seafood, grass-fed and grass-finished meats, healthy fats and oils, a rainbow of vegetables and starches, fermented foods, bone broth, and plenty of filtered water should be on your weekly shopping list. Finally, round out the meal with clean fats from coconut oil, grass-fed cultured ghee, avocados, olive oil and/or raw nuts & seeds. Making big changes to your diet can be difficult, especially when you’re already more fatigued than usual and your appetite is off-kilter, but having access to the above foods and incorporating as many of them into your meals as often as possible will do wonders for your thyroid, and therefore for you and your baby too! Cool it down—no more than 68 degrees. You may find you need your bedroom even cooler during your third trimester. Speaking of gadgets—no scrolling before bedtime, for AT LEAST an hour. Try to align the light in your home with natural light—if you can’t turn the lights off when the sun goes down (much harder to do in winter, I know), then dim the lights, and use bulbs with an orange or golden hue rather than blue. This mimics the natural light of the setting sun. Get some exercise each day, outside whenever possible. Aim for at least 45 minutes every day, more if you can spare the time. Try to finish eating at least 2 hours before bedtime, but keep a few snacks by the bed to keep morning sickness at bay if needed. Apple slices, nuts, a hard-boiled egg or a mug of bone broth are all good snacks to have nearby. Shoot for 8-10 hours of uninterrupted sleep, but listen to your body, If you need more and can get more, do so. Everyone will tell you to avoid stress when pregnant, and I know that can be easier said than done. The most important thing you can do is listen to your body, advocate for yourself (sometimes thinking of it as advocating for your baby as well can help) and take time to pamper yourself as often as you can. Prenatal yoga, nature walks, meditation, and massage are all good ways to de-stress. Even if you only have ten minutes a day, practice slow, measured breathing, and imagine your baby growing and thriving. This may be one of the most important things you can do to optimize your thyroid health during pregnancy. If you’ve been on thyroid medication in the past, there’s a good chance your doctor will need to increase your dosage during pregnancy. I recommend using Natural Desiccated Thyroid (NDT) hormone replacement such as WP Thyroid rather than synthetic thyroid meds such as Synthroid whenever possible, but every woman is different. If you find you do better on synthetic medications, ask your doctor to prescribe Tirosint instead of Synthroid as it’s free of all the nasty fillers and preservatives found in Synthroid. Be sure to talk to your doctor about the best option for you, your body, and your baby. Pregnancy puts a ton of added stress on your thyroid, especially if you’ve had thyroid issues in the past, and can increase the risks of miscarriage, pregnancy complications, and birth defects. Have your thyroid tested before your conceive, as soon as you confirm pregnancy, and if you’re pregnant now, your thyroid should be tested at regular intervals. A combination of supplements, proper diet, and medication (if necessary) can make sure your thyroid has everything it needs to keep you and your baby healthy during your pregnancy. Are you pregnant now, or trying, and concerned about your thyroid? Have you had thyroid issues in the past? If you’re pregnant, has your doctor tested your thyroid, and what were the results? Spread some Thyroid Health lovin’! Sharing is caring, and I bet you have some friends who would love to read this too :).